Google has agreed to acquire Nik Software, the developer of the popular iPhone and iPad photo editing app Snapseed. Nik Software develops software for photographers for Mac, Windows, and iOS, but it was Snapseed that caught Google's eye and sparked the acquisition. There is no word on whether there will be continued support for Snapseed or if Google plans to kill the project like they did with Sparrow. For nearly 17 years, we’ve been guided by our motto, “photography first”, as we worked to build world class digital image editing tools. We’ve always aspired to share our passion for photography with everyone, and with Google’s support we hope to be able to help many millions more people create awesome pictures. In regards to the acquisition, Vic Gundotra, Google's Senior Vice President of Engineering said "we want to help our users create photos," but neither company will reveal what lies in Snapseed's future. Many people are comparing this acquisition to Facebook and Instagram, but I beg to differ. Although Snapseed and Instagram are both photography apps, they are completely different. Instagram is a very basic photo editor that only allows the use of filters and tilt-shift, but has a very strong social presence. In fact, I'm more inclined to call Instagram a social network than a photo editor. Snapseed, on the other hand, is a robust photo editor with zero social capabilities. If we're going to compare acquisitions, it's better to compare this to when Google bought Sparrow. Google wants skill, and the folks at Nik Software have the skill that Google desires. Google+ already does a better job at photos than Facebook by allowing users to edit their high resolution uploads with crop, rotate, exposure, color adjustments, sharpening, and resizing. Add even more robust photo editing features, similar to those included with Snapseed, and Facebook has nothing on Google+ when it comes to photo manipulation and quality. Google currently offers Picassa for those looking edit their photos, but it's mediocre at best -- with the help of the Nik Software team, this could easily change. Now, if this is indeed Google's plan, then you might as well kiss Snapseed goodbye. It's unfortunate, but when Google makes these kinds of purchases, they usually ditch the existing projects and direct the talent elsewhere, and we'd be fools to expect anything different in this case. So if you're looking for something to replace Snapseed, you may want to take a look at Apple's iPhoto and Photogene. If you settle on iPhoto, make sure you take a look at our tutorials for adding drama to your photos and editing portraits. Are you a Snapseed user? What are your thoughts on this acquisition? Do you expect Google to stop development of the app or are you hopeful to see future updates to Snapseed that give it a social spin with Google Plus? 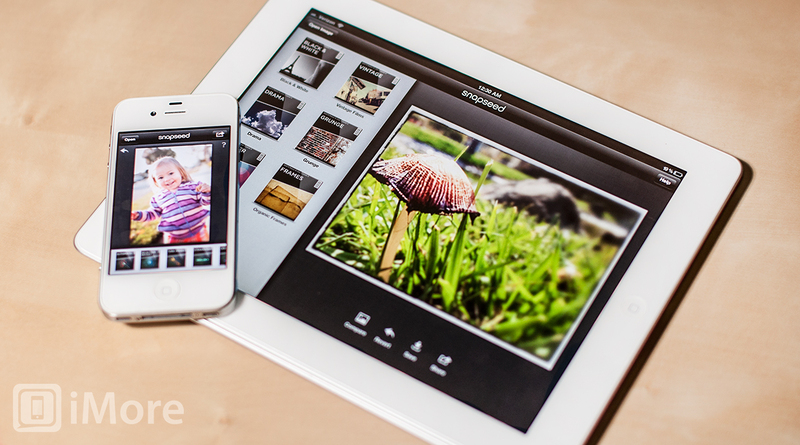 If you're planning to switch to a different photo editing app, let us know which one you chose!